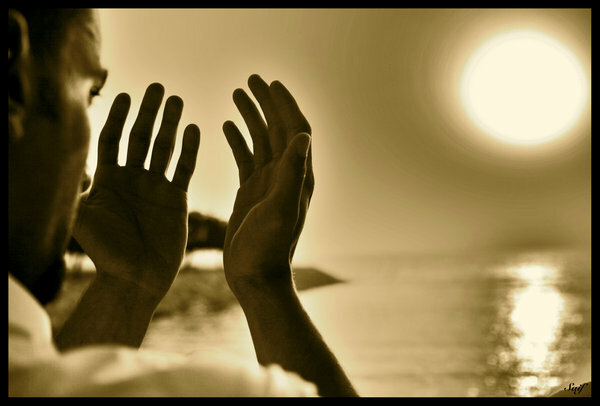 PRAYER IS PERHAPS ONE of the most ancient and mysterious of human experiences. It’s also one of the most personal. Even before the word prayer appeared in spiritual practices, the oldest records of the Christian and Gnostic traditions used words such as communion to describe our ability to speak with the unseen forces of the universe. Prayer is unique to everyone who experiences it. Some estimate that there are as many different ways to pray as there are people who do the praying! Today, modern prayer researchers have identified four broad categories that are believed to encompass all the many ways that we pray. In no particular order, they are: (1) colloquial, or informal, prayers; (2) petitionary prayers; (3) ritualistic prayers; and (4) meditative prayers. When we pray, the researchers suggest that we use one of these four modes—or a combination. Colloquial prayers are informal prayers offered in everyday language. An example is: “Dear God, if just this one time I can get to the gas station before my gauge reads ‘empty,’ I promise I’ll never let my tank get this low again!” Petitionary prayers are requests to God, such as: “Mighty God, I claim perfect healing now, and in all past, present, and future manifestations.” Ritualistic prayers are perhaps most familiar. These are offered as specific words spoken at a specific time of day or year. Two examples are: “Now I lay me down to sleep . . .” and “God is great, God is good. . . .” Some people make a distinction between meditation and prayer, viewing prayer as “speaking” to God and meditation as “listening” to God. During meditation, we’re typically aware of a sacred presence that permeates our world and our being, and we apply the techniques of various teachings to experience what this presence means in our lives, as well as to harness it. As good as these descriptions are, and as well as each of these prayers appears to work, there’s always been another mode of prayer that this list doesn’t account for. This fifth mode of prayer, the “lost mode,” is a prayer that’s based solely in feeling. Rather than the sense of helplessness that often leads us to ask for assistance from a higher power, feeling-based prayer acknowledges our ability to communicate with the intelligent force that 95 percent of us believe in, and participate in the outcome. Without any words, without our hands held in a certain position or any outward physical expression, this mode of prayer simply invites us to feel a clear and powerful feeling as if our prayers have already been answered. Through this intangible “language,” we participate in the healing of our bodies, the abundance that comes to our friends and families, and the peace between nations. Sometimes we see references to this mode of prayer, perhaps without recognizing what we’re being shown. In the American Southwest, for instance, ancient stone structures were created in the desert by their builders as “chapels”: sacred places where wisdom could be shared and prayers offered. These perfectly circular stone buildings, some submerged and covered deep within the earth, were known as kivas (pronounced KEE-vuhs). Etched, carved, and painted into the walls of some kivas are clues as to how the lost mode of prayer was used in native traditions. Inside restored kivas in the Four-Corners area, there are the remnants of the mud plaster that covered the stone structures long ago. Lightly etched into the earthen stucco, we can still see the faint images of rain clouds and lightning hovering over abundant fields of corn. In other places, the walls show outlines that hint at wildlife such as elk and deer, which were abundant in the valleys. In this way, the ancient artists recorded the secret of the lost mode of prayer. In the places where the prayers were offered, those praying surrounded themselves with the images of the very things that they chose to experience in their lives! Not unlike the scenes of miracles and resurrection that we see in a church or temple today, the images inspired those who were praying with the feeling that their prayers had been answered. For them, prayer was a full-body experience, involving all of their senses. If you ask someone on any street, or in any airport or shopping mall, to describe prayer, more often than not they’ll recite the words of familiar prayers to answer you. When we say things like “Now I lay me down to sleep,” “God is great, God is good,” and “Our Father, who art in heaven,” the belief is that we’re saying a prayer. Could the words be a “code”? Rather than being the prayer itself, could the words that remain today be the formula that someone else designed long ago to create the feeling of the prayer within us. If so, then the implications are vast. We are always feeling in each moment of every day of our lives. While we may not always be aware of just what we’re feeling, we are feeling nonetheless. If feeling is the prayer and we’re always feeling, then that means we’re always in a state of prayer. Each moment is a prayer. Life is a prayer! We’re always sending a message to the mirror of creation, signaling healing or disease, peace or war, honoring or dishonoring our relationships with those we love. “Life” is the Mind of God sending back to us what we feel—what we’ve prayed. This article by Gregg Braden originally appears in healyourlife.com For more articles by Gregg, CLICK HERE. 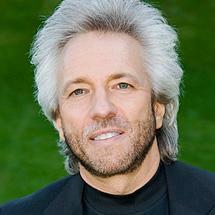 Gregg Braden will be appearing at I CAN DO IT! Sydney & Perth, August 2010. For details CLICK HERE.